This outstanding solid pine wood Console features quality hand crafted construction to ensure long lasting service and beauty. A mutli-step lacquer finish in an off-white antiqued, hand applied finish allows the natural character and beauty of the wood grain show through. Solid wood drawers feature English dovetailed drawers and ball bearing glides. All pieces in this collection feature mortise and tenon case construction on solid wood frames. 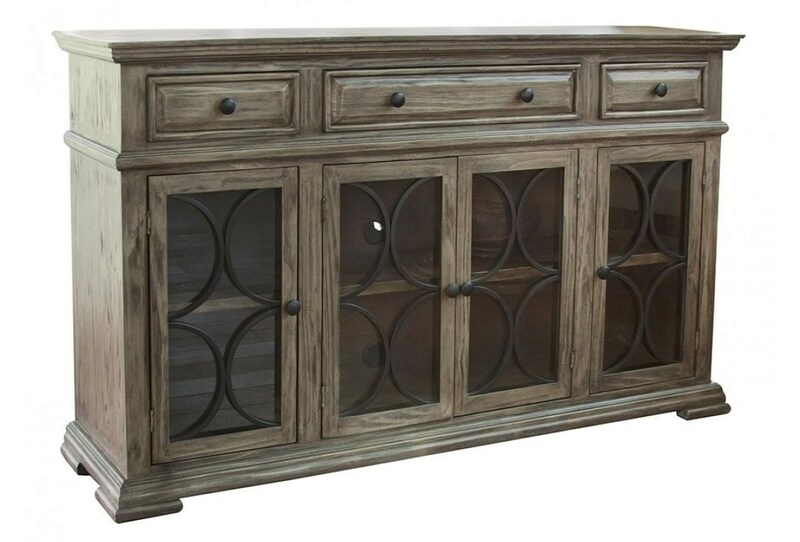 The Valencia Console with 4 Glass Doors & 3 Drawers by International Furniture Direct at Great American Home Store in the Memphis, TN, Southaven, MS area. Product availability may vary. Contact us for the most current availability on this product.